As US secretary of state John Kerry makes the rounds in Asia, meeting with various heads of state, it is inevitable that the leaders of some nations will be overlooked. One such person is Ben Iwata, the prime minister of the Kingdom of Inobhutan, a portmanteau of “Inobuta” – a hybrid between a wild boar and a domesticated pig – and Bhutan. No meeting is currently scheduled between Kerry and Iwata, perhaps because the Kingdom of Inobhutan is not recognized by any other country, or international body. Another reason may be that the king of Inobhutan is giant fictional pig. Inobhutan is what is known as micronation – a state that has asserted its sovereignty but lacks any formal recognition from the international community. Thousands of such countries exist throughout the world, and have popped up over time since the first recorded micronation, the Kingdom of Redonda, in 1865. 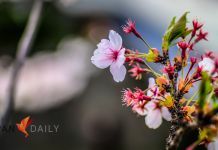 Japan however, is the only nation in which declaring your independence became a popular trend in what has been dubbed the “Micronation boom” of the 1980s, where independent nations numbered in the hundreds. 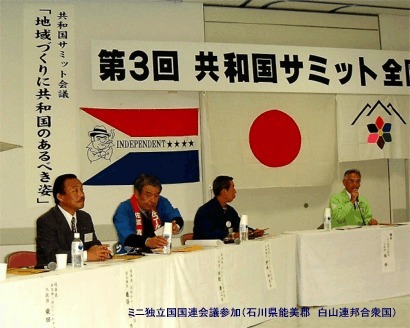 Although the first official declaration of independence was made by the New Yamatai Nation in 1977, the true boom of micronations, or “mini-dokuritsukoku”(ミニ独立国ブーム) as they are known in Japanese can be traced back to one man: Hisashi Inoue and his satirical science fiction novel “The Kirikiri people” (吉里吉里人). This novel, about a rural part of northern Japan declaring independence and making their regional dialect (tohoku-ben) the official language, single-handedly launched the micronation boom. Within a few years over 200 tiny nations had seceded from Japan, many founding their own local governments, chambers of commerce, and tourism bureaus. 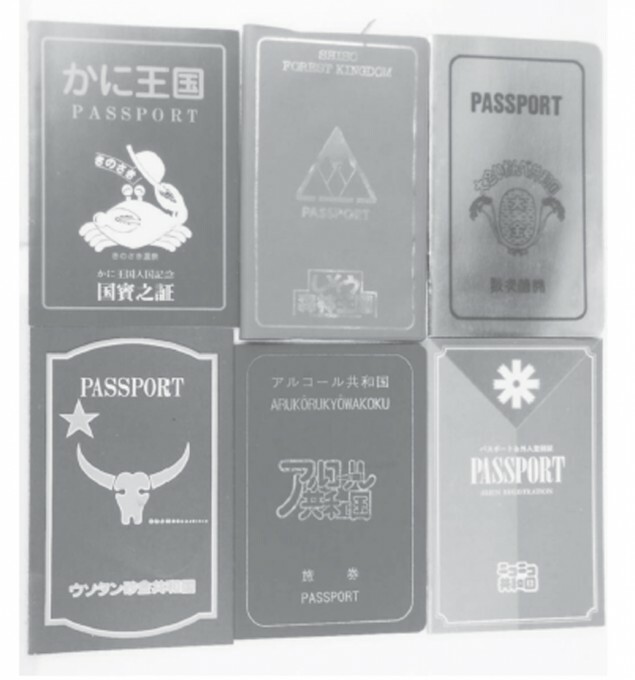 The passports of several micronations including the Crab Kingdom, The Alcohol Republic, The Niko-niko Republic and others. Passports were often exchanged as a sort of stamp collecting campaign. Like the Nikoniko Republic, many micronations were founded to promote the local industries of rural areas. This is reflected in many of the names, such as the Crab Kingdom or The Alcohol Republic in Niigata’s Sado Island. Other nations formed to preserve local culture and language, such as the Tsuchinoko Republic in Nara prefecture, or the United States of Soyanka (Soyanka is Osaka-dialect for “oh, really?”). Some of these nations have names that are nearly impossible to pronounce, such as Chirorin village, or Yoronpanauru. The Japanese government for their part, played along with the whole affair with a humorous tolerance. For example, then minister of internal trade and industry Watanabe Michio signed a treaty of friendship between the nation of Japan and the Kingdom of Inobhutan. Lest this be seen as an official recognition, the entire affair was strictly recorded as parody. 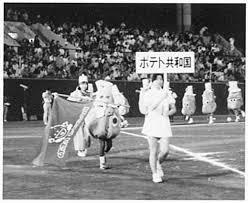 In 1986 when many of these micronations held their own Olympic games in the independent nation of the Ginko Federation (Hachioji, Tokyo) the event was covered on prime time television. The event was met with laughs and derision as being highly disorganized and ill-prepared. Several of these nations, including the nation of Kirikiri (Iwate), named after Inoue’s book, established their own United Nations, even electing certain micronations to permanent members of the security council. 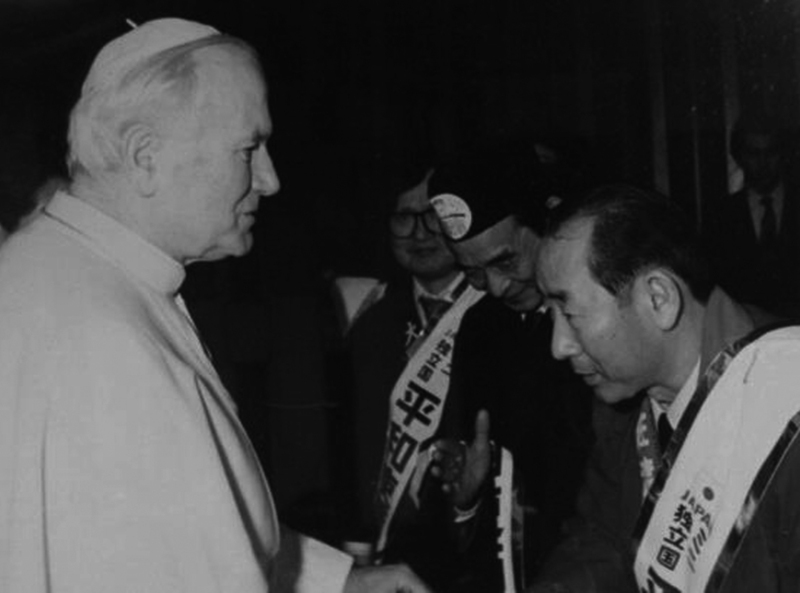 This micro-UN held several summit talks in the name of international exchange from 1983-1985. Unfortunately with the burst of the bubble economy in the 1990s, many of these micronations disappeared. Citing population decline, poor health, and economic failures, most of these countries either collapsed or merged into other communities. These days, less than 50 remain, although to my reckoning that is still a lot of micronations for one country. Trends come and go quickly in Japan, and for better or for worse, the secession boom of the 1980s turned out to be just another passing fad.